Working at home your horse must be completely focused. Working at home you must be completely focused. Too often both rider and horse ride along only half focused. You must also have done plenty of ground work too. 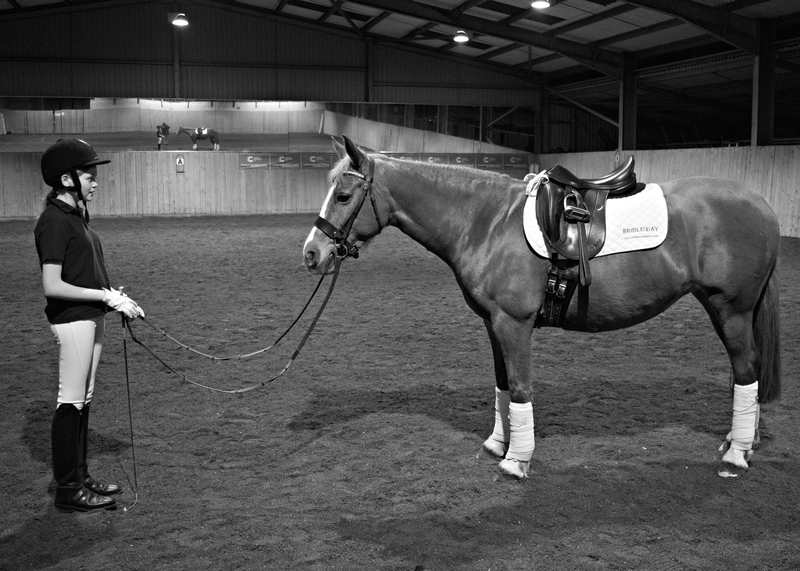 Your horse should be easy to handle, focussed on you and in its own body! 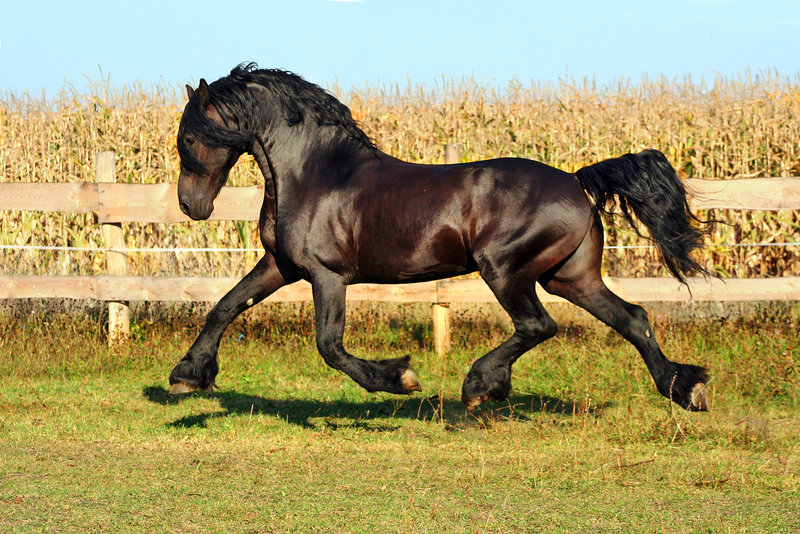 If at home the horse is agitated and unfocused when being handled it will be at nightmare at competitions. Riding at home with friends. Can you maintain your horses attention and focus at home both on top, and on the ground with some other horses working in? Book a 1hr use of an arena at a different venue. The same tasks apply. 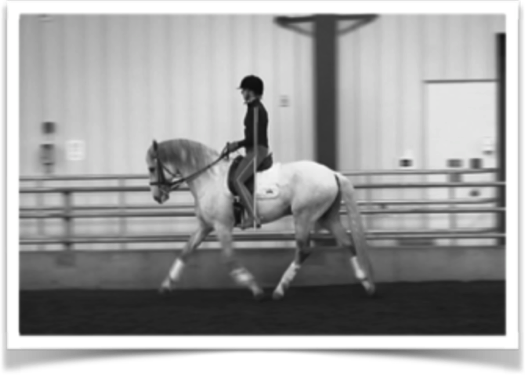 You need to be able to work the horse in ridden and handle him successfully on the ground. Book a 1hr use of an arena at a different venue and take some friends along. The same tasks apply. 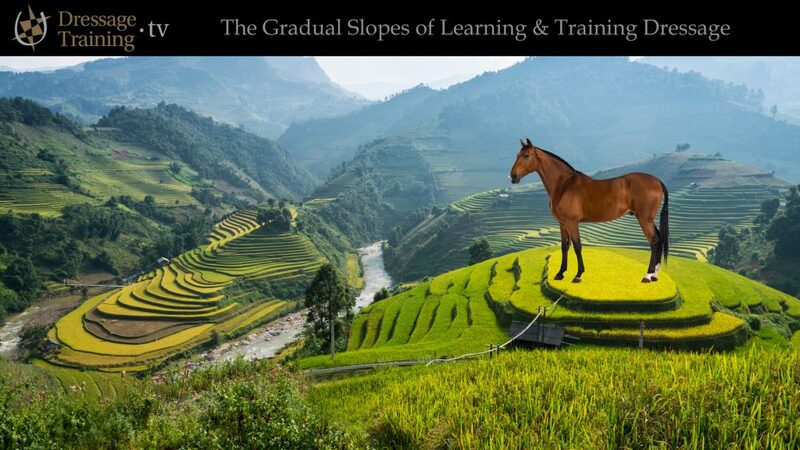 You need to be able to work the horse in ridden and handle him successfully on the ground. 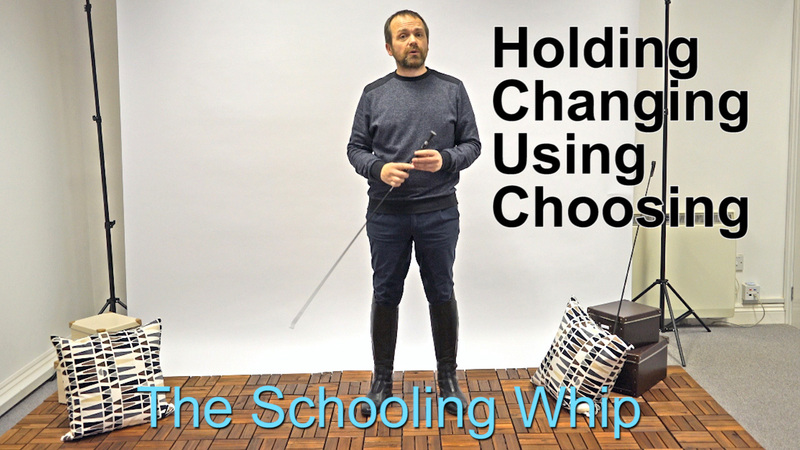 * Step 3 & 4 may be swapped depending on your horse. He may be more distracted alone, or with friends. 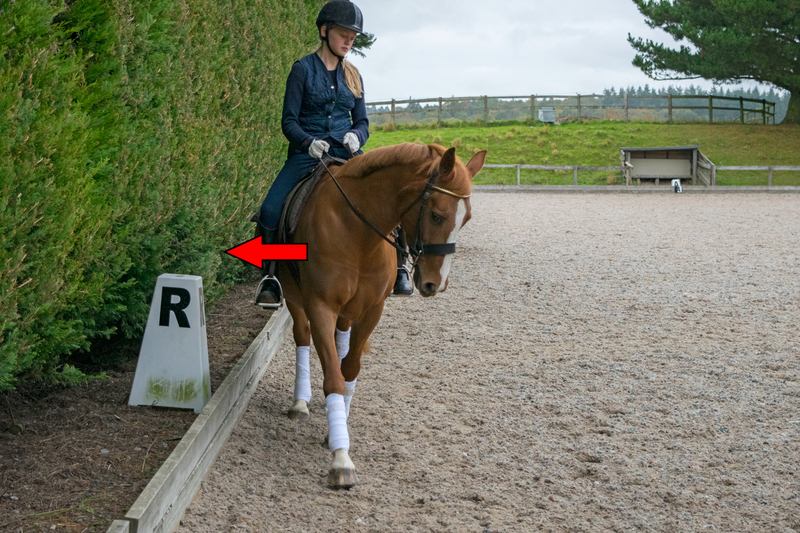 Book yourself into a dressage practice day. A typical format you should look for is that you have a 20-30 minute slot with the judge to do the test and discuss it afterwards. This will put you in a place with strange horses but there should not be too many others warming in. Remember ground work is also important. The same as above but with Friends. 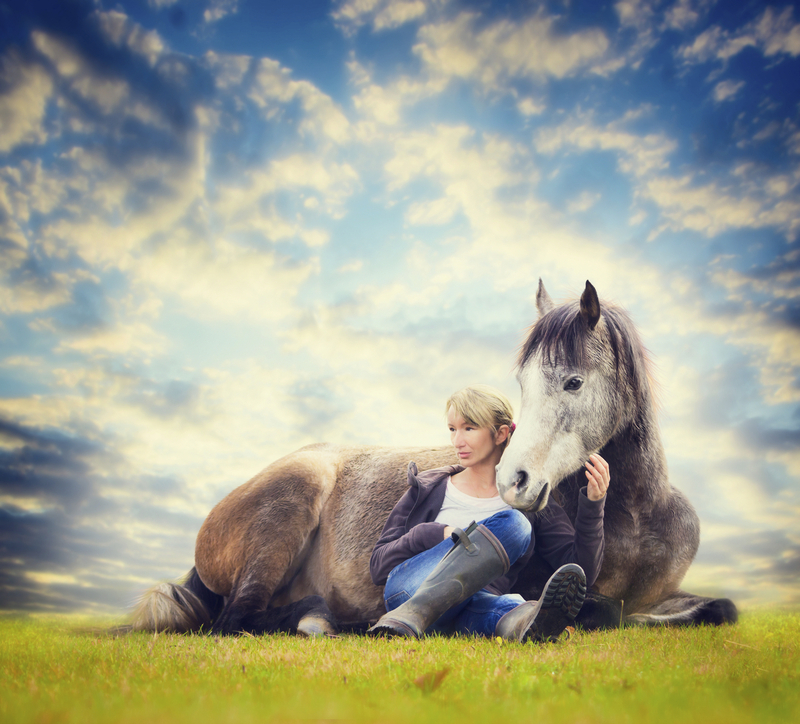 Having horses around that your horse knows can add in extra stress due to separation issues. But sometimes it also works in your favour. + Step 5 & 6 may be swapped. A full blown competition. Try to start out at a local quiet venue and work you way up from there.